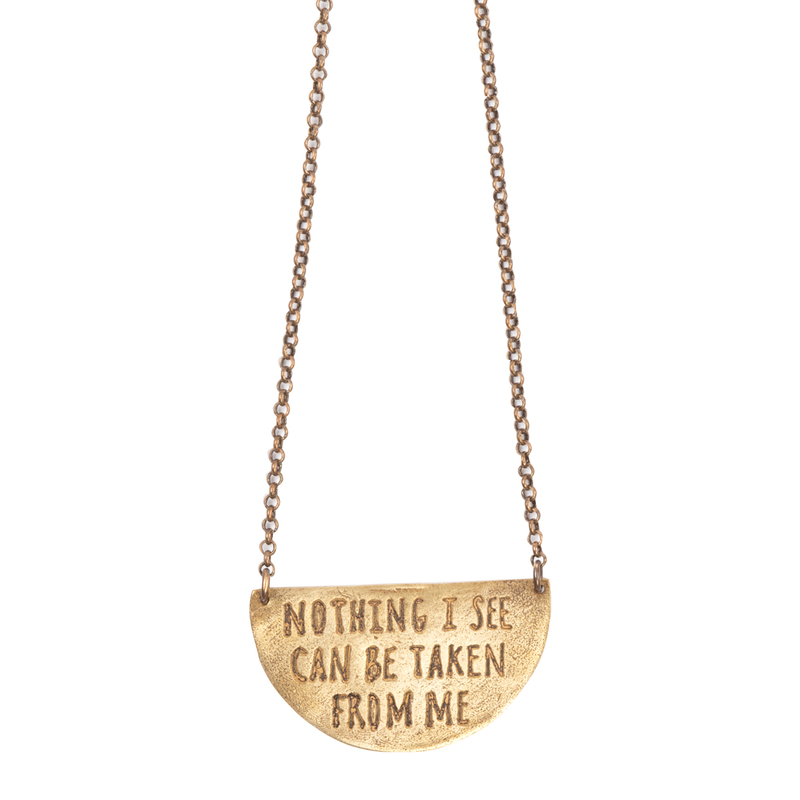 Collaboration with Burlington, VT jewelry artist Jennifer Kahn. 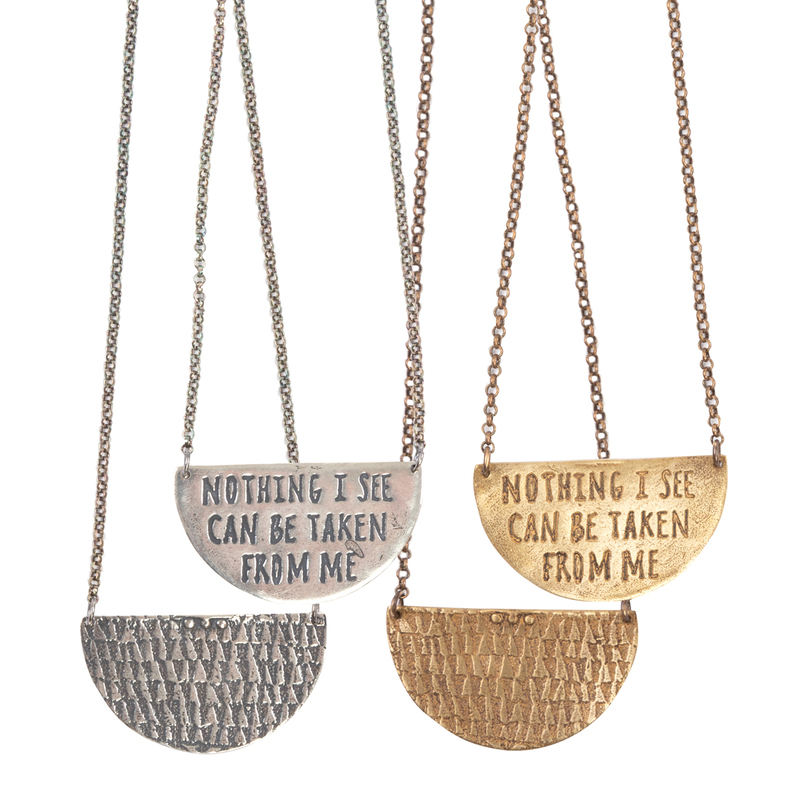 We have two versions available - Sterling Silver and Oxidized Brass. Each pendant is 7/8" long and 1 5/8" wide. Necklace is finished with a lobster clasp and Phish logo tag and available short at 16" or long at 24" on oxidized chain for the brass version, and a sterling chain for the silver. 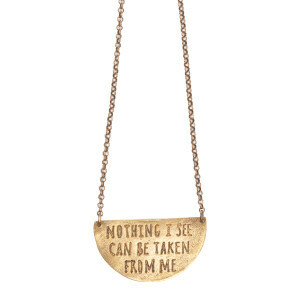 The pendant features lyrics “Nothing I See Can Be Taken From Me" from Bug and has an organic edge and matte surface. Each necklace comes in a custom box (perfect for gift giving).